Published By – Rights Worldwide Ltd. Published By – Sony Music Publishing UK Ltd. Published By – SPZ Music Inc. This is a compilation of remixes from the Post era, plus a B-side previously unavailable on album (Track 4) and a repeat appearance of the then-current single (Track 11). Track 4 Published By Rights Worldwide Ltd.
℗ 1996 Elektra Entertainment Group, A Division of Warner Communications Inc.
Made in the U.S.A. by WEA Manufacturing Inc. 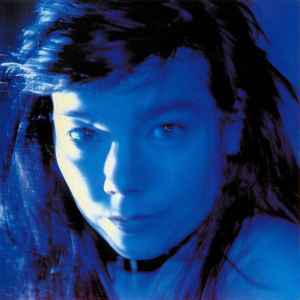 There's so much crappy remixes that exist on Bjork's tracks... but here, each remix give something new to the tracks. Almost every track has a unique style and listening to those gems is a pure pleasure giving Bjork's voice a new dimension. Tracks 2, 3 & 8 are priceless.